Spiral notebook. 80 sheets lined. Design Mexican folklore. From Mexico. Vertical spiral notebook. Small notebook with 80 lined sheets. 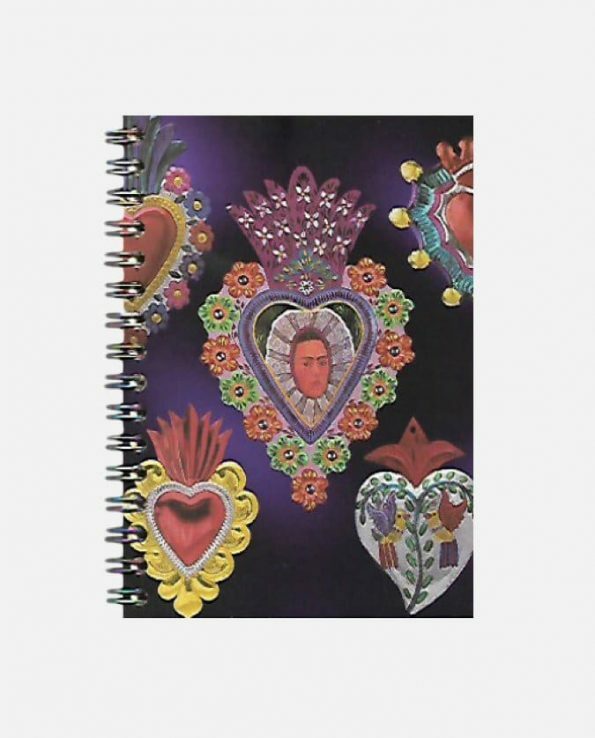 The notebook has a print borrowed from the universe of the ex-voto where one distinguishes the Mexicain painter Frida Kahlo.